Welcome back to Sunday Stash! Last week was missed due to an exciting whirl of activity attending a lovely wedding in Ohio. One of my dearest friends I have not seen in 20 years was getting married. Katy and I drove up to Ohio, went shopping, had some laughs and enjoyed seeing ( meeting for Katy) old ( we all aged in the past 20 years!) friends! We all had a blast but I ended up getting behind on my posts. This week Sunday Stash is another amazing collection by Jen Kingwell for Moda Fabrics! This beautiful stack of color is Moving On Lawns! I matched these lovely fabrics with Aurifil 50wt threads that compliment the bright colors perfectly! 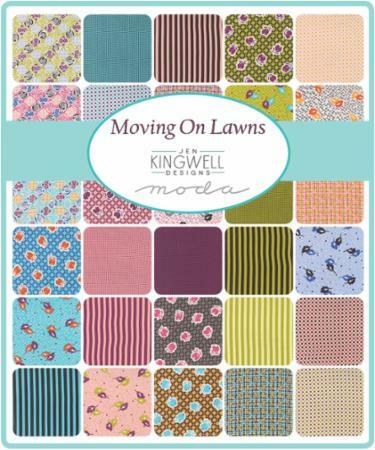 Be sure to start looking for Moving On Lawns in your local quilt shop or your favorite online fabric shop starting in September. 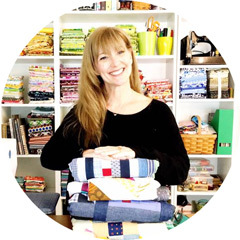 If you shop does not have them, they can order them from Moda Fabrics or their preferred distributor! I am linking up to Molli Sparkles Sunday Stash!